Welcome to D G Roofline — based in Sheffield we pride ourselves on our reputation and workmanship. 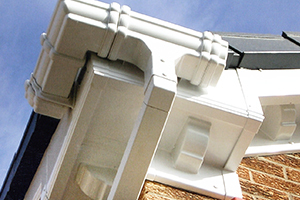 We are the leading installer of full replacement UPVC, soffits, fascias, guttering and cladding. Our services also include repairing roofs and is available to everyone from commercial businesses to the general Yorkshire public. D G Roofline are the experts when it comes to roofing and guttering. If you need anything from a leaking roof repair to a complete re-roofing project, please get in touch with us and we will try to help. We don't believe in pushy sales and as a result offer friendly impartial advice. 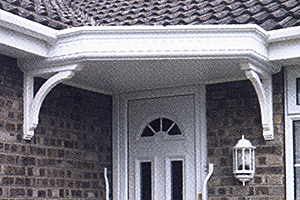 Soffits and fascias are essential items for all modern roofing. Whether it’s a first time installation, new built property, or you are looking to upgrade your existing set-up, DG Roofline are your leading specialist. Problems with the roofline often lead to greater expense further down the line as the joists and beams in your roof become susceptible to damp. 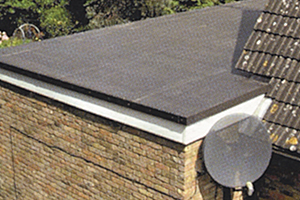 We specialise in full replacement flat roofs or flat roof repair. Whether for your garage or your home, our flat roofing installations are of the highest quality material. Made from the highest quality materials, our flat roofing is completely waterproof and highly resistant to UV radiation, meaning a long lasting and aesthetically pleasing new roof for your home. 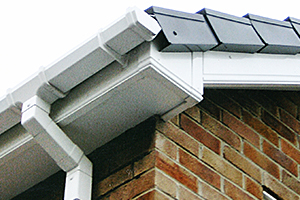 We offer a comprehensive 20 YEAR EXTENDED GUARANTEE on all white cellular PVC fascias, soffits and claddings. Concord roofline boards are waterproof and very strong and they will perform for decades without any maintenance. D G Roofline only use the best roofing materials available to ensure our work survives all tests of extreme weather with our guarantees lasting longer than the recommended time. D G Roofline installs your flat roof with no joins or leaks and have a life expectancy of up to 50 years.. Firestone RubberCover EPDM membranes offer unmatched resistance to ozone, UV radiation and high or low temperatures. Firestone RubberCover™ EPDM is also an inert material with limited environmental impact, both during manufacture and installation, and high durability compared to other roofing membranes. In addition, Firestone's EPDM manufacturing facilities have received ISO 14001 certification for their environmental system.